Learn the art of sculpting characters in ZBrush with Hossein Diba. In this course, Hossein will help you develop your sculpting capacity and learn the techniques and workflows he uses every day. This Character Sculpting in ZBrush course will consist of ten modules of lessons and demonstrations. You'll learn core sculpting skills and be part of a community of artists all working to achieve next level quality in their work. You'll get instant access to all training and have the luxury of moving through the course at your own pace and on your own schedule. You can also download lectures and watch from anywhere without being tethered to the Internet. 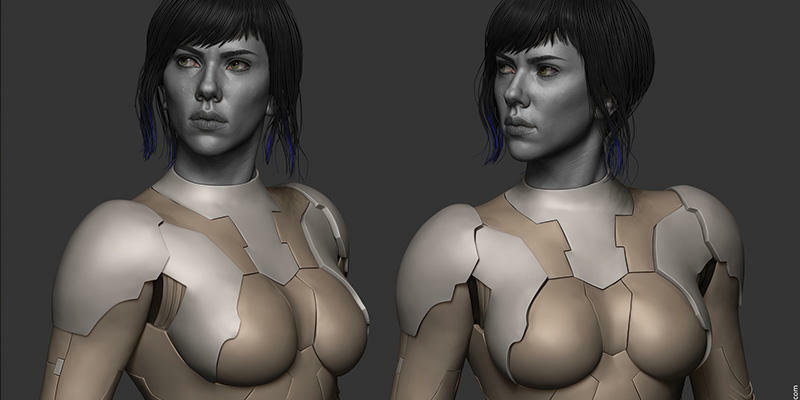 In this course, students will create a characters using ZBrush. The course will cover anatomy, muscle sculpting, gesture, flow, dynamics, and poses. The course will help students develop techniques to become better sculptors and will focus on skills that will directly impact their future work in games, movies, and toys. Know the importance of references and what to look for. Know how to sculpt complex facial features in ZBrush. Have become fluent in using ZBrush to sculpt characters. Have sculpted and brought to life your own character. 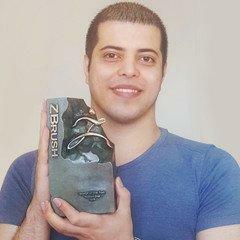 Hossein is a CG Character Artist who does modeling, sculpting and texturing. He specializes in shading characters and creatures for animations, games, cinematics and 3D printing. He has been designing and developing characters and creatures based on concepts and images for different projects since 2008. He works as a fulltime freelance artist and has a strong knowledge about human and animal anatomy.